Action Research is applying an innovative community-based social marketing approach to assist waste haulers and local municipalities with increasing recycling behaviors in residential areas. The innovative approach includes waste characterization studies of trash bins designed to identify current baseline recycling behaviors. 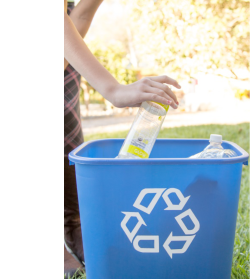 The approach also includes in-person surveys of households to identify attitudes and beliefs related to recycling and trash as well as barriers to proper disposal. Using the results from the foundational research, Action Research is developing and piloting campaigns in a number of states.